Congratulations on reserving your wedding venue! 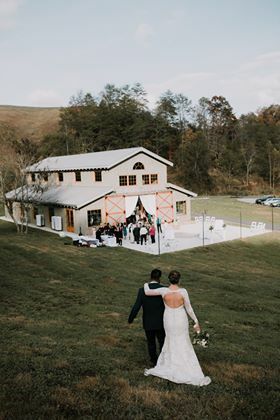 We are honored that you chose 4 Points Farm to celebrate your Big Day. Included in this page is some helpful information for planning your wedding at 4 Points. Feel free to visit here anytime. Our office hours are typically Monday- Friday, 10 am to 5pm. If I miss you, I try to answer calls and emails with 24-48 hours during normal office hours. Our phone number is 865-280-2124 and our email address is [email protected]. My cell phone number is 865-654-9735. I am always a phone call or email away. If you need to set up more visits as you plan, simply contact me to set up a planning appointment. We want your big day to go as smoothly as possible. I typically don’t attend planning meetings, but I am always on my phone to answer questions that pop up. If you need immediate answers to your question, I have a page of FAQ from brides. See if your answer is here https://4pointsfarm.com/bridesfaq . I will be in contact about 30 days before your event to schedule your rehearsal time and gather information on any vendors you choose to help with your big day. If there is an event the night before your wedding then your rehearsal will be at 9 a.m. on rehearsal day. If there is no event planned the night before your wedding your rehearsal will be at 4 p.m. If the venue is free the day before your wedding and you prefer a morning rehearsal (it leaves the day free to spa, hike, golf, etc.) you may also choose a 9 a.m. rehearsal time. You will receive an email with the door codes and some helpful last-minute advice. I do a walk-thru before you arrive for your rehearsal to make sure that the venue is ready. The venue is all yours at noon! Your rental time ends at 11 p.m.. Cleaners will arrive then, and you may pack up as they clean until midnight. After your $500 deposit, the balance of your reservation is divided into 2 payments. The first is due 2 weeks after you fill out your rental agreement and the last payment is due a month before your wedding date. I am always on my cell phone, but I am not always in front of a computer, so questions about payments or balances due are best handled by email. Click the PayPal logo or go to https://paypal.me/4pointsfarm to easily send a payment. Please put your wedding date in the “add a note” section. You do not need a PayPal account to send money through PayPal. Just use as a guest. *Be sure to put your wedding date in the memo. Before you tie the knot, you will need a Tennessee marriage license. Tennesseans, you may acquire this in your home county. Out-of-state couples will likely get their license in Sevier County. Present a valid driver’s license, or certified birth certificate. Must be at least 18 years old. Fee for out of state residents is $41.00 cash. 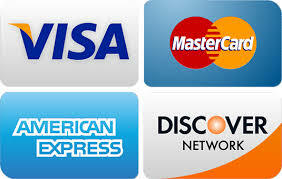 They also accept Visa or Mastercard with a small processing fee. Fee for Tennessee residents is $101.00 cash. They also accept Visa or Mastercard with a small processing fee. The $60.00 fee will be waived if applicants complete a four-hour premarital course and present a notarized certificate of completion, which can be obtained through our office. 9:00 a.m. to 5:00 p.m. on Saturdays only.